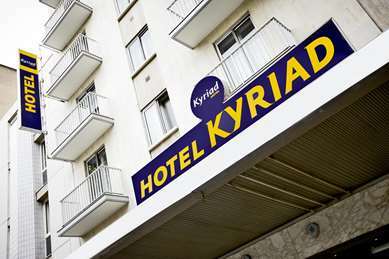 Welcome to Hotel Kyriad Tours! Our 3-star establishment is the ideal place to stay while you explore Tours and the surrounding region. 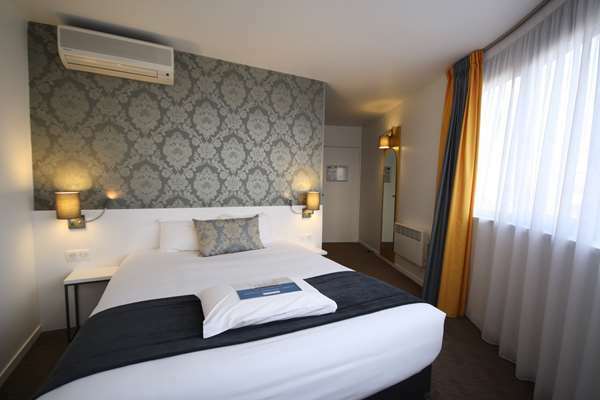 We offer comfort and hospitality throughout your stay in Touraine, whether you're traveling for business or pleasure. 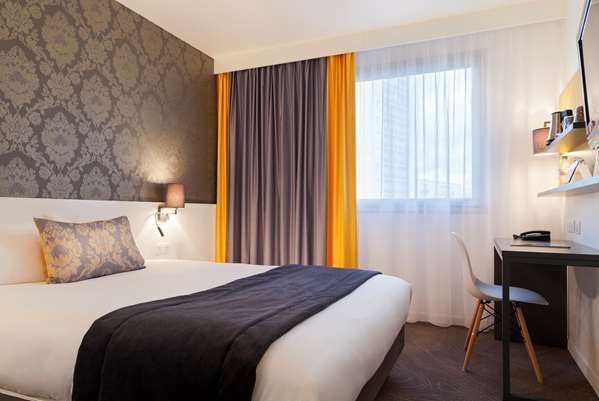 Our 3-star Hotel Kyriad Tours - Saint-Pierre-des-Corps and restaurant-brasserie "Le Parvis", are ideally located: just a few minutes' walk from the Tours TGV train station and close to highway A10. 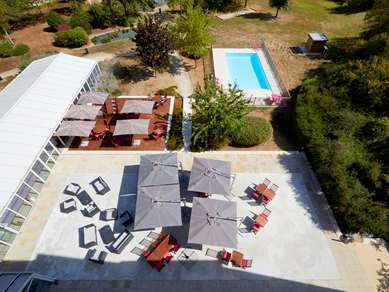 Since we are located in the Loire Valley near the chateaus and the vineyards of Vouvray and Montlouis-sur-Loire, you can easily explore all the treasures of our magnificent Touraine region. A relaxing stroll along the river banks is very popular among nature lovers. 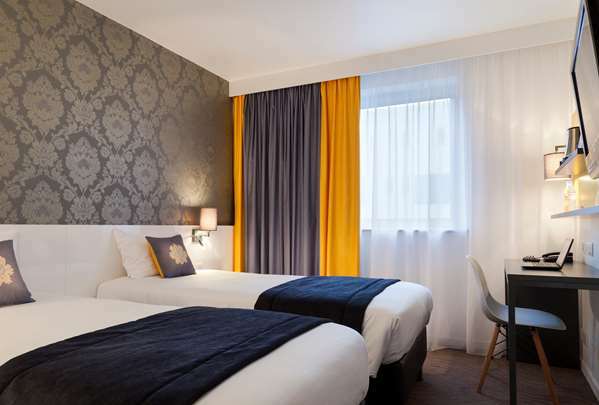 From the hotel, you can reach the city center, the International Convention Center and the "Grand Hall" Parc des Expositions in just a few minutes. The hotel is easy to access We have a closed paid parking lot. You'll also find parking spaces in the public paid parking lots nearby. Our reception is open 24 hours a day. 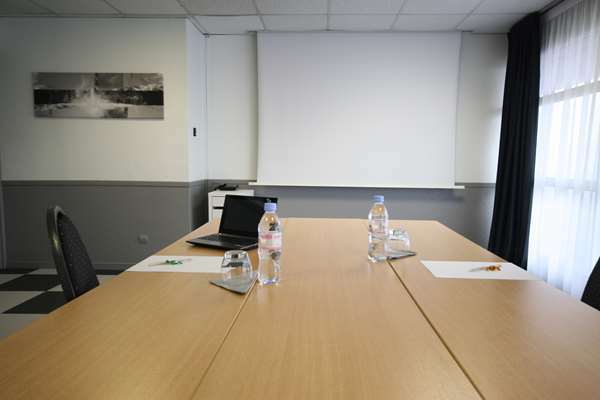 Our hotel offers modern, bright and functional meeting rooms for all your business needs. 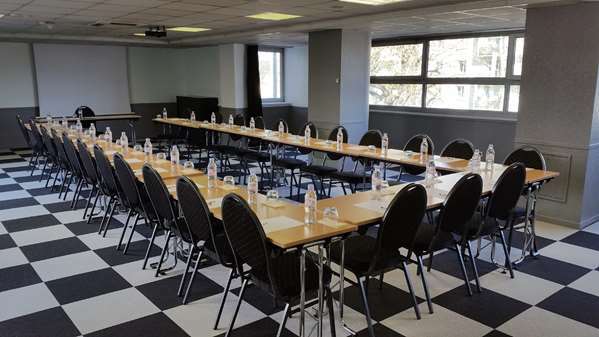 Our meeting rooms can accommodate up to 125 people. 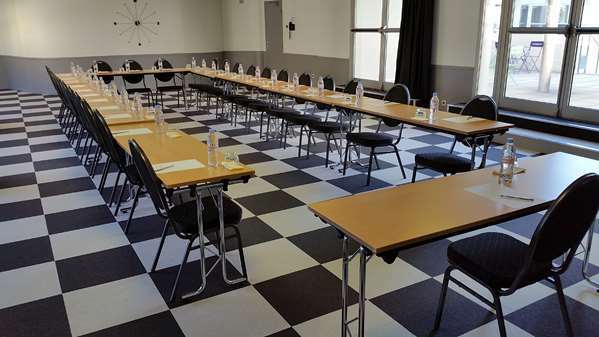 We also offer snacks, cookies and rinks during your meetings. Our hotel is wheelchair accessible. Our 98 rooms, including 2 family suites, are spread over 4 floors. 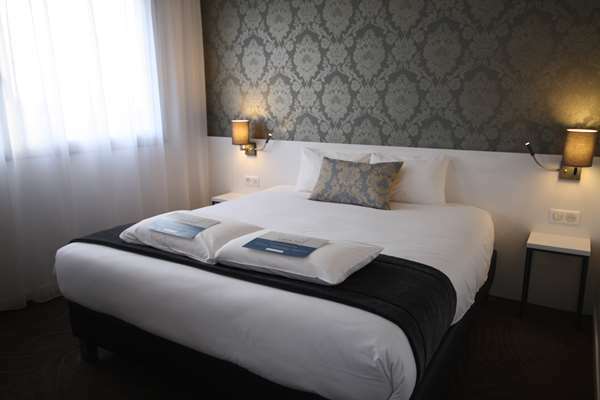 We offer a double bed or two single beds, and private bathroom. 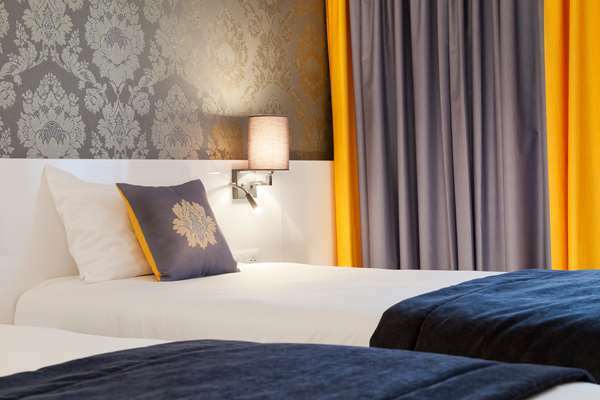 All our rooms are air-conditioned and equipped with a flat-screen TV with Canal+ and beIN SPORTS channels. 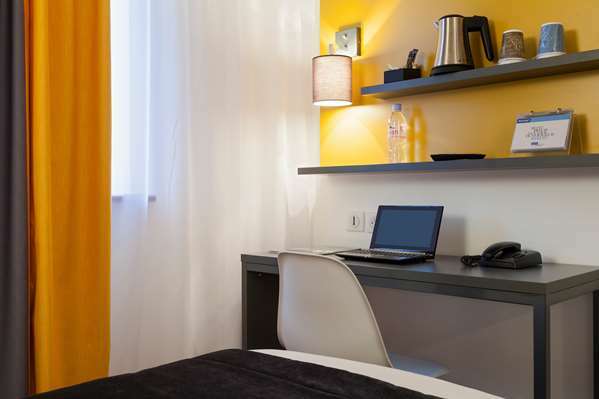 For added value we offer: free Wi-Fi, a desk, telephone, shower or bath, hair dryer and a courtesy tray. 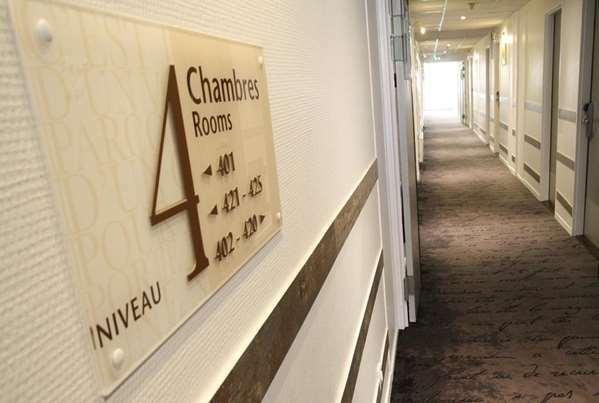 The hotel has facilities for people with reduced mobility (elevators, etc.). 2 rooms are specially adapted for this purpose. 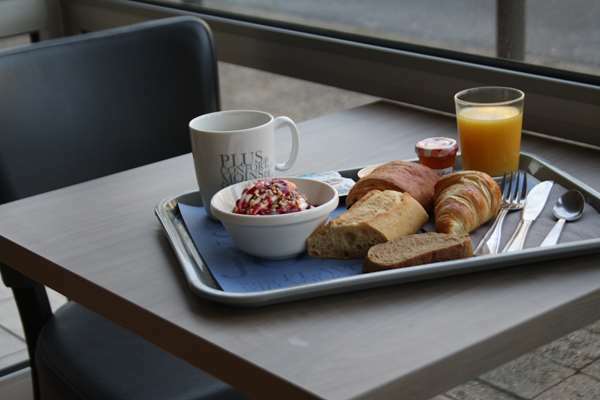 A varied and very complete buffet breakfast is available every day. The buffet breakfast is open from 5:00 am to 9:30 am weekdays and from 7:00 am to 10:30 am on weekends. 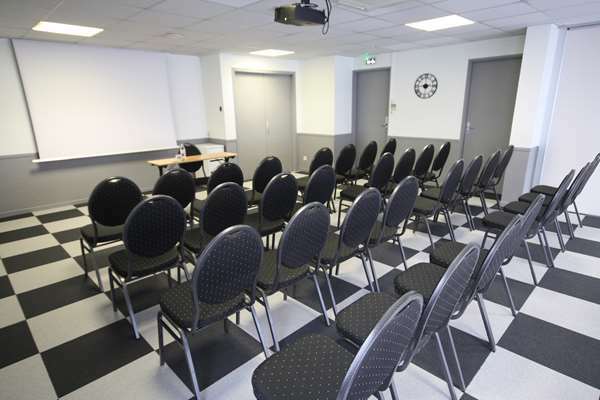 The hotel has 5 meeting rooms any outings of the free and unlimited WIFI, in the daylight, of a video-projector, a screen, a paperboard, and allow us to welcome up to 125 people in theater mode. All the services are adaptable, possibility of organizing breaks, drinks - mini-croissants and similar products - cakes. 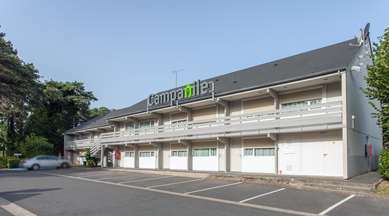 Good location, service and breakfast. 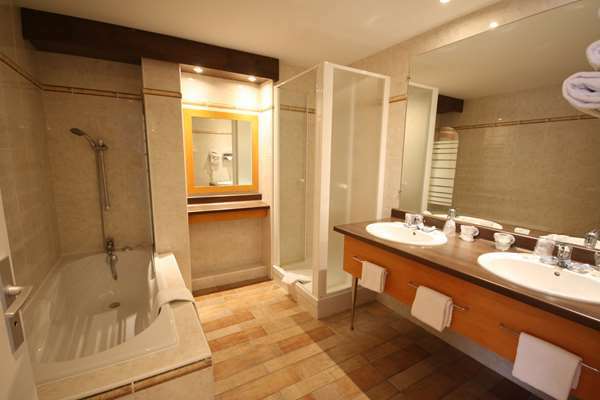 The rooms are not exceptional but they are clean and confortable. The people at the reception are friendly and ready to give a hand. Definetely a good option if you are passing by. we thank you for this eulogious comment and are delighted that your stay has gone well. 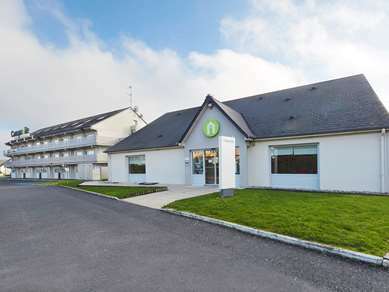 A very good business/stopover hotel which is very dog friendly. A very good restaurant that offers a choice of two or three courses from an extensive menu for a very good price. 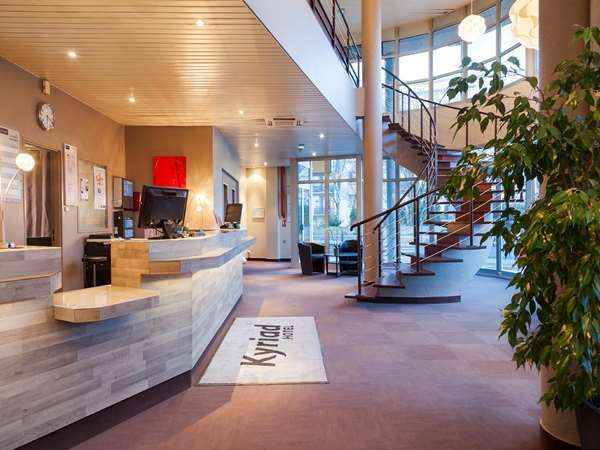 Clean and welcoming, with very good reception staff. Recommended. Not too much space around the hotel for the dog to exercise, however. 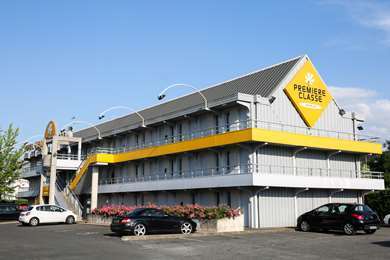 Nice hotel near the St Pierre railway station, which is a couple of miles from the city centre. Bus stop outside hotel, so getting to centre was relatively easy, cost 1.6 euros. Travelling to / from the area by rail? Check this one out. Second visit. Very impressed overall. Good quality breakfast available (weekdays at least) from an unbelievable 5 or 5.30 a.m (cannot quite remember which) for those wishing to catch an early morning TGV, which run to many parts of the country direct from here and no need to use the shuttle train from the main Tours station. The evening set menu meal looked very enticing, but my timings did not fit, even its generous evening opening hours, (Again weekends may vary - so check before booking). No hesitation in booking here again when needing to stay in the Tours area. The hotel was lovely and clean. 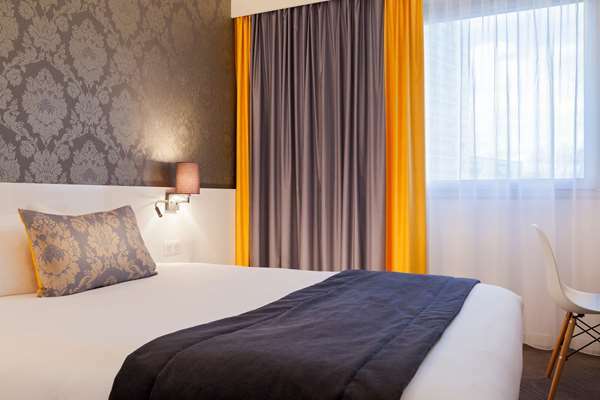 The rooms were super comfortable with everything you needed, including free wi-fi. The staff was very friendly and helpful. There was a great restaurant with delicious food. 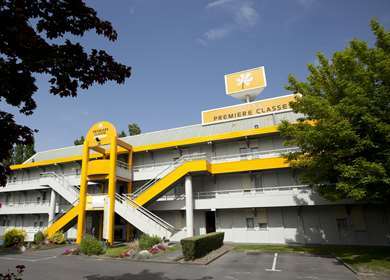 Both the hotel and restaurant were very reasonably priced. I would definitely stay there again. We hope to see you very soon at the Kyriad Tours-Saint Pierre des Corps.